Jesse Harrod’s Flagging 1, 2, 3 is constructed using traditional knot-making techniques. 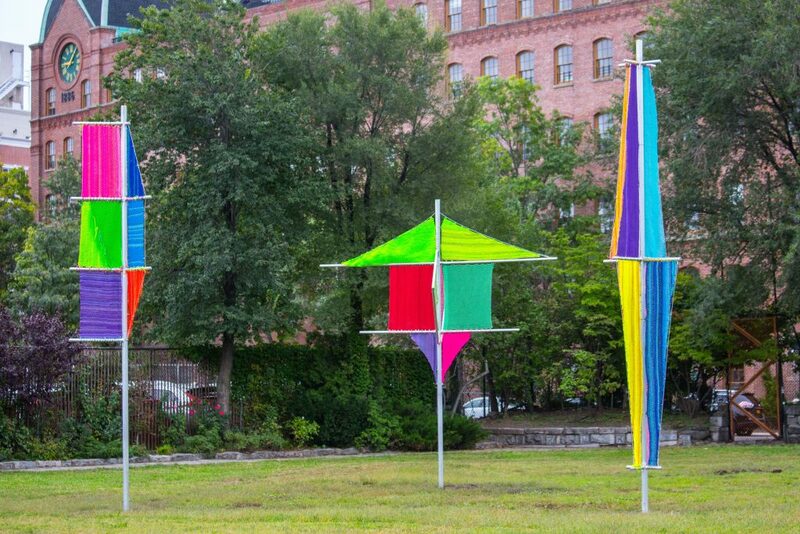 The forms are abstracted shapes derived from sails, shipping and national flags, and the shape that 'kerchiefs make when hanging out of a pocket. 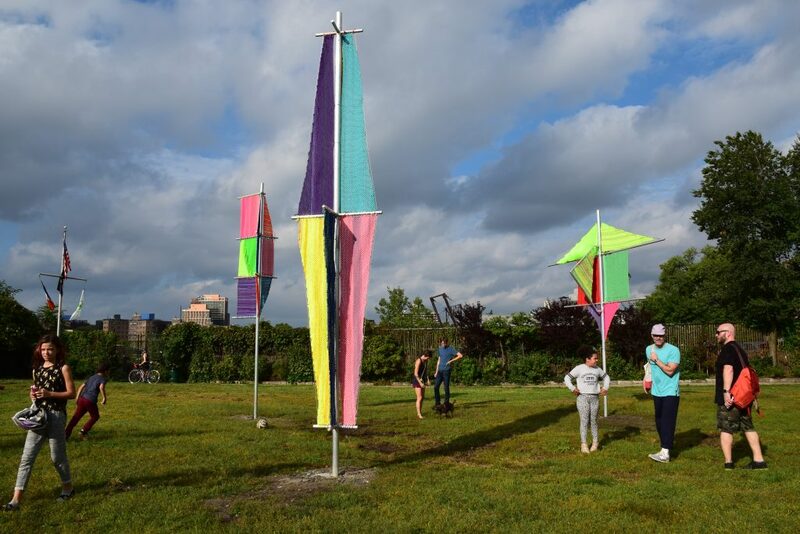 The flag colors are sourced from workshops with community members in the neighborhoods adjacent to the Park, and reference culture and symbols that serve as hidden messages to the local community.